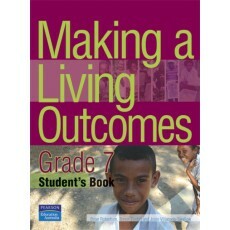 Students will use more than their imagination as they work through Making a Living Outcomes for grade 7. This course is all about preparing students for leaving school and joining their community. There are plenty of practical activities and stories and many opportunities to test what they have learned. What students learn in this course will fit them for further learning or for becoming independent earners in their village if they wish.